Stay up to date on the modern baby shower trends. Get new and creative party information as it is added to the website. and viewer photos and ideas as they are added to our site. 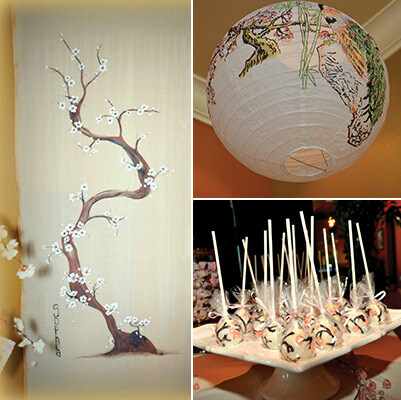 Creative ideas formulated to create phenomenal parties. Have Fun Planning Your Shower! Find the best prices on baby shower supplies by knowing where to look. Check out our favorite list online stores for the best deals!. 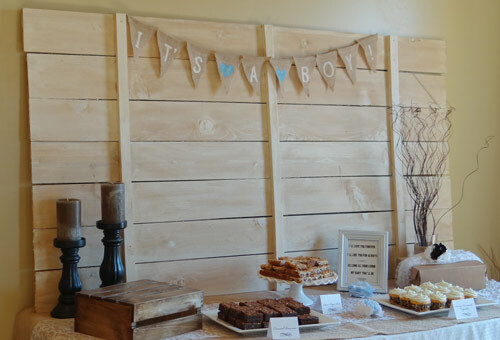 Continue reading "Cute Baby Shower Supplies"
Need a clean backdrop for your food tables? This tutorial will help you create an inexpensive and beautiful backdrop for your party decor! Continue reading "DIY Dessert Table Backdrop"
I just put together a fun tutorial to share with you today! 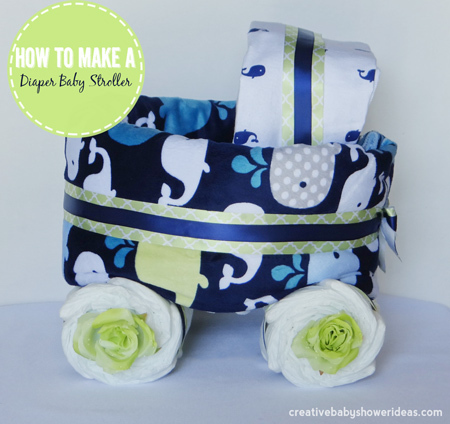 How to make a diaper stroller. This baby gift is so cute and a fun way to give baby supplies to a new mom. Enjoy! Looking for a fun summer dessert to serve to your friends? These strawberry shortcakes are perfect! Make the layers ahead of time and layer cups a little before the party. So yummy! 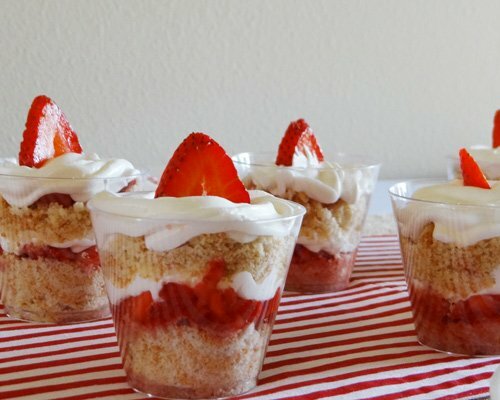 Continue reading "Strawberry Shortcake Parfaits"
It is summertime and we have been on the look out for delicious recipes to use at baby showers. 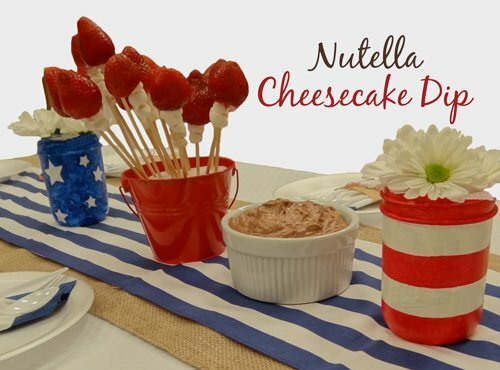 Continue reading "Nutella Cheesecake Dip"
I put together a tutorial to help you make a pair or two for your favorite baby. Enjoy! 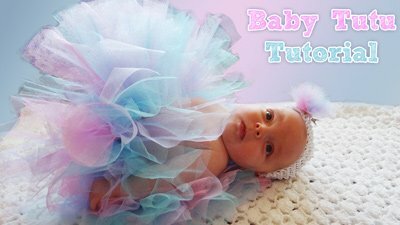 Continue reading "Baby Leg Warmers"
A fun baby shower gift would be to make a baby tutu. They are great for pictures and really easy to customize! I've put together a quick tutorial that has "no sewing" involved! Continue reading "Make a BabyTutu"
Our giveaway page for contests. Continue reading "Giveaways- Win Free Stuff"
Transform traditional crepe paper streamers into a beautiful ruffled backdrop for your baby shower. It is really simple to do and a great way to make your budget stretch. Check out our tutorial to find out how! 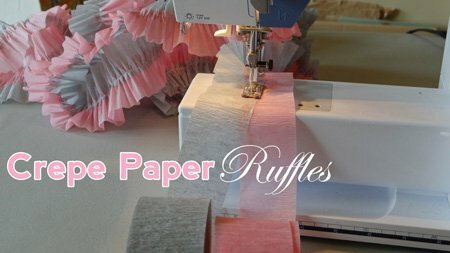 Continue reading "Baby Shower Decor Idea: Crepe Ruffled Streamers"
I can't say enough good things about this new recipe! Smores without all the mess! 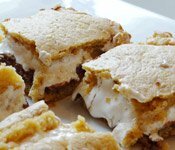 Melted chocolate and marshmallow sandwiched in between a soft graham cracker cookie. Pure heaven! I love that it is made in the oven. I think it tastes way better than the traditional smores! ;) You have got to try it! Maria's best friends threw her a beautiful ikebana cherry blossom baby shower recently and she sent it in to share with us! I think my favorite part is the hand painted wall art. Fabulous! There are lots of fun hand made elements. Check out to get the full details! 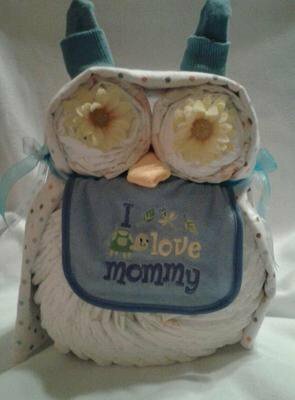 Continue reading "Ikebana Cherry Blossom Baby Shower"
Debra sent in this adorable owl diaper animal she made. Isn't is cute?! She actually made it for a guy friend who was going to a baby shower at Hooters! How awesome is that! Great job Debra. Thanks so much for sharing it with us! Continue reading "Owl Diaper Animal"
I threw a rustic "sip and see" baby shower last week for my sister-in-law. 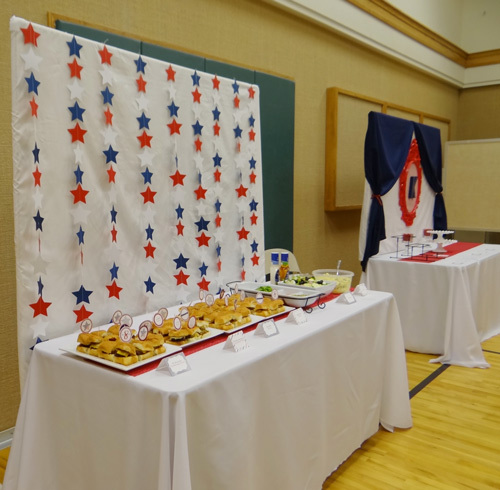 It was fun to pull the decorations together for the party. The guest of honor was the most adorable part!! 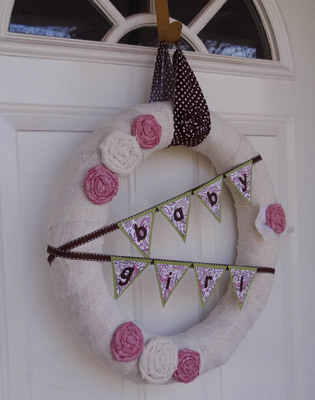 Continue reading "Rustic Baby Shower"
Have you ever seen those cute baby shower wreaths that are hung on the doors or used as decorations? Love them! Guess what?! They are not that hard to make. Continue reading "How to Make a Burlap Baby Shower Wreath"
I've been searching for a while for a sugar cookie recipe that was easy to put together and that had a great taste. I have FINALLY found it! It doesn't get easier than this... mix, press into the pan and bake! 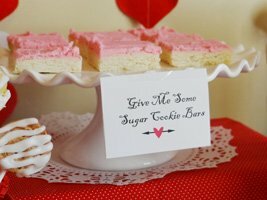 Continue reading "No Fuss Sugar Cookies"